Yeah, thought that too, so decided to leave it out lest it be taken in offense. Nice, but may be you should take a black shirt. and then use a deeper blue. Just my thoughts! When I will get one I will donate it to another forumner. It's all I wear... T-shirt n jeans, and of course this time of year! I also wear a warm jacket.n jumpers. When summer comes, I am to enjoying the warmer weather, I'll be wearing g t-shirt (longer version to cover belly!) And shorts, with sandless. Two more stellar designs right there @elmo41683 I’d happily wear both of them! @AnkerOfficial can I get a high-quality version of the community logo, please? I love the nautical themes of these and I think it looks great on the red shirt too. I created a vector version of the Anker logo saved in PMS 2995 C. I just created a live trace from a high-resolution version of the logo, so it's not 100% perfect, but it's close enough for this purpose. Hope this can help some of you! I love seeing all these designs! @TheCharneco Your method is way easier than mine, I literally sat there for an hour deleting pixel by pixel of the white background so all I was left with was the logo. Then I resized it to fit my shirt and adjusted it from there. Thanks, glad y'all like them. 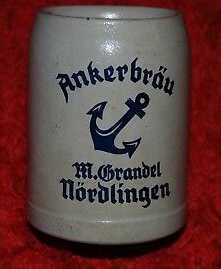 I was thinking since Anker means Anchor I went for the nautical theme. 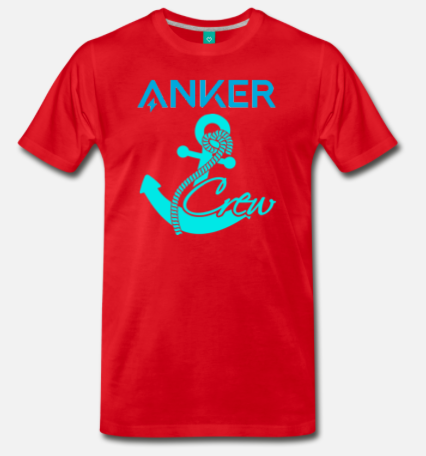 The problem I see with these designs, is although anker is called “anker” they have never done anything with anchors before. Not that I’m saying they shouldn’t, but I do t know that they’ll use a design based around them. 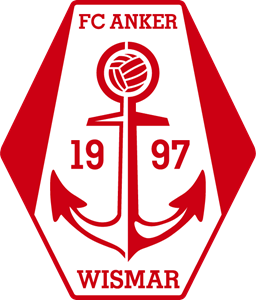 Anker is German for anchor. Chinese like German names I suppose. There is no enlightenment why they gave the company a German name. May bee the "big boss" was studying here.